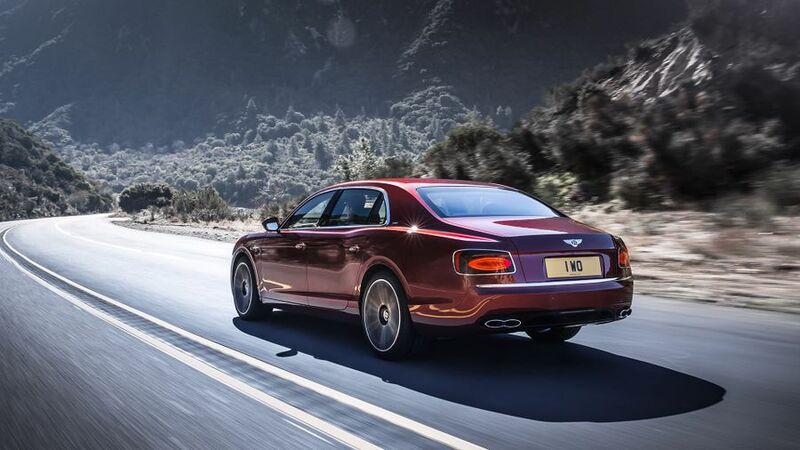 The Bentley Flying Spur is one very expensive car to buy and run, but it delivers enough interior quality, performance and dynamic ability to justify the price. If you can afford it, there’s no reason not to. Lighter than the W12s for improved agility, and more efficient, too. They’re hardly planet-savers, but the V8s are much less thirsty than the W12s. The fastest, most extravagant version of the Spur, which is already fairly extravagant in all its forms. 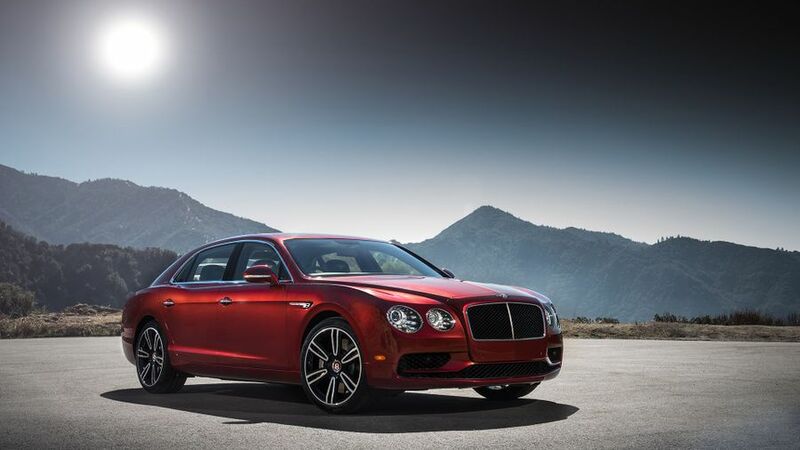 Interested in buying a Bentley Flying Spur? Luxury limousines need to have a fair amount of on-road presence, especially one with a Bentley badge. 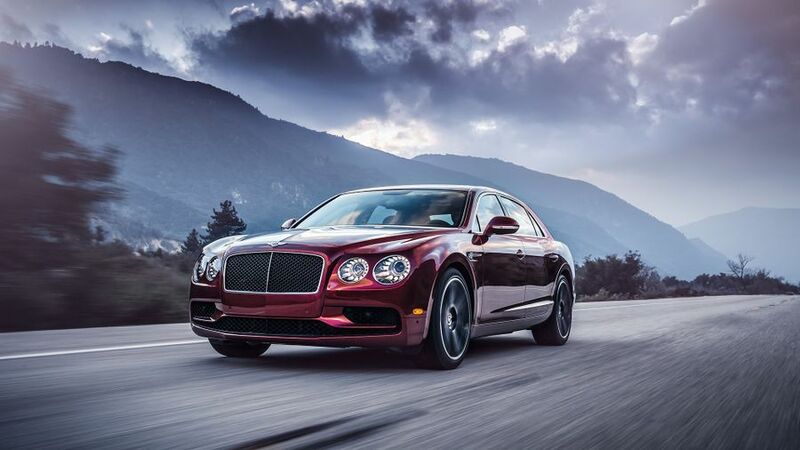 The Spur delivers this visual impact in spades, courtesy of the huge chrome grille, the spangly alloy wheels, and the collections of LED lighting at either end of the car. If you’re worried it just looks like a Continental with some extra iron grafted onto the back end, don’t. The design is much more cohesive than that, with curvy rear haunches and crisp horizontal lines along the bootlid. 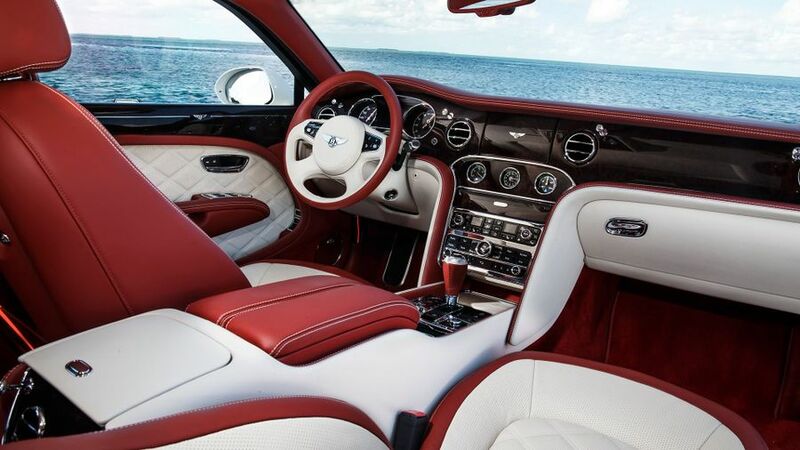 We can’t think of any firm that makes a posher cabin than Bentley at the moment. 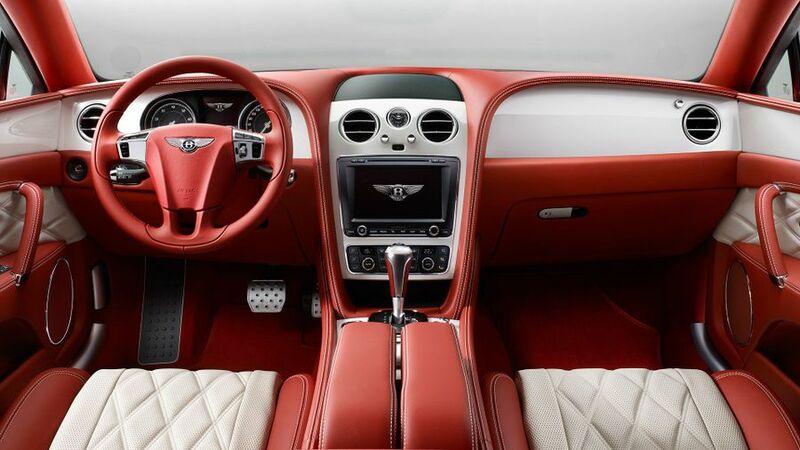 The interior is swathed in soft, high-grade leather interspersed with hand-crafted wooden panelling, and every single surface you come into contact with (and even those you don’t) is simply gorgeous to look at and to touch. The electric seat adjustment and straight-ahead arrangement of the controls give a superb driving position, too. However, the small back window means your rear visibility isn’t great, while the touch-screen infotainment interface in the dashboard is hopelessly clunky and outdated. That’s weird, because the touch-screen remote control that gives rear-seat passengers control over the system is much sharper. 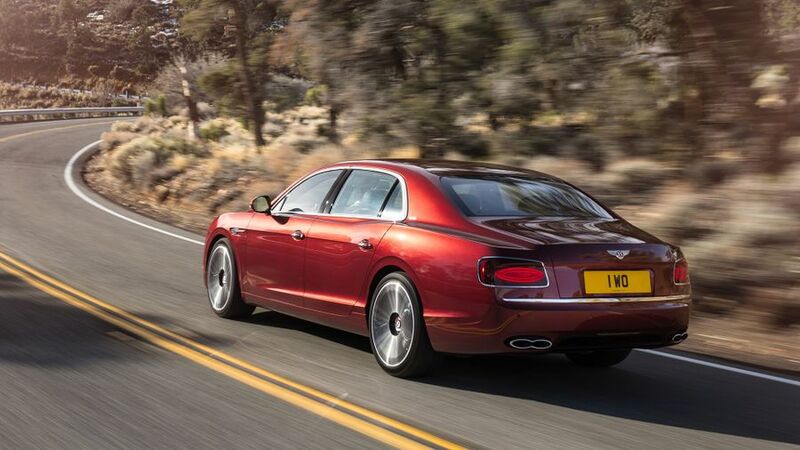 As you’d expect from a luxury limousine, there’s lots of room inside the Flying Spur for its occupants to luxuriate. Head- and leg-room are in plentiful supply in both the front and the back seats, and depending on your requirements, the car is available with either two rear seats or a three-person rear bench. The boot is a decent size, too, but it isn’t as gargantuan as you’d expect from the outside, because some of the car’s luxury toys impinge on the space available. Luxury limousines are all about ride comfort and refinement, and on this score, the Spur both impresses and disappoints. The ride always stays smooth and comfortable, but it’s not quite as soft or as cosseting as you might expect from a luxury limousine: a Mercedes S-Class is considerably comfier. Likewise, the acoustic windows give you excellent protection from wind-noise and the engines are virtually silent at a steady cruise, but the fat tyres do kick up a little bit too much road noise. That said, the Spur handles very tidily for a car of this size. You can tell it’s a big, heavy car, but it changes direction crisply and securely, while the steering is nicely weighted and offers some genuine feedback. There are four choices of petrol engine open to Spur buyers, and each of them makes the car far quicker than anything weighing two-and-a-half tonnes has the right to be. Only the least powerful – the 500bhp 4.0-litre V8 – has a 0-62mph time of more than five seconds, and it only misses that threshold by a whisker. The V8 S has 521bhp for a shade more pace, and it sounds absolutely epic as well, with a deep-chested bellow given off as the revs climb. 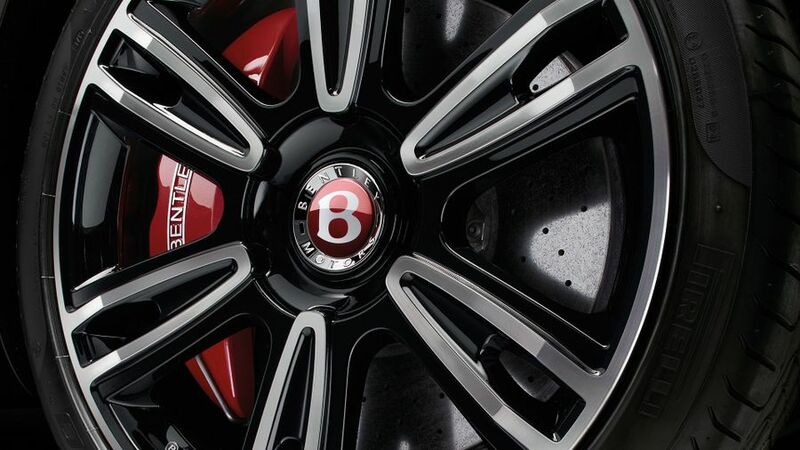 Two 6.0-litre engines are also available: the W12 with 616bhp, and the W12 S with 626bhp. 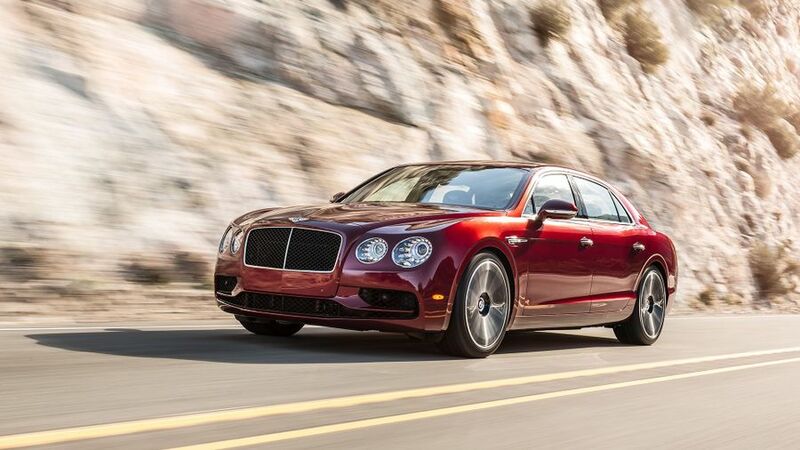 Of these, we’ve only tried the W12, and the performance is pretty staggering. Any meaningful pressure on the throttle pedal results in acceleration that’s instant, effortless and blistering. All versions come with an eight-speed automatic gearbox that switches gears smoothly and serenely, and it always seems to select the right gear at the first time of asking. 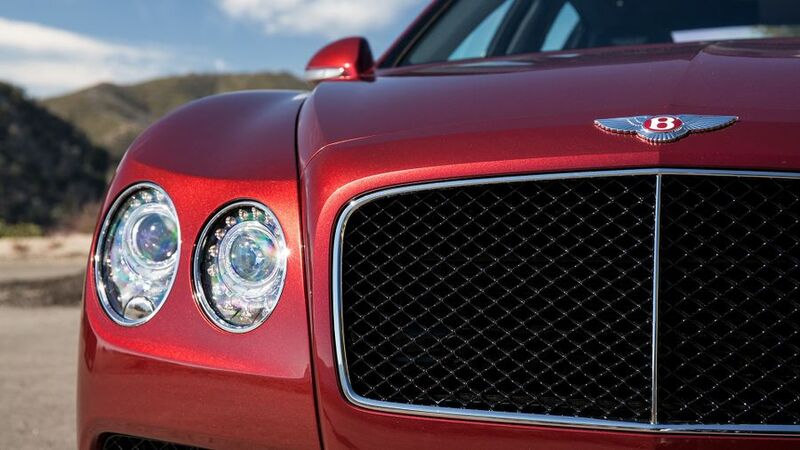 You expect a Bentley to be super-expensive, and the Spur costs an appropriately ridiculous amount to buy. That’s before you’ve added any of the optional luxuries that will take the price of your car to even dizzier heights. Residual values are reasonably solid for the class in percentage terms, but the enormous sums of money involved mean depreciation losses will be eye-watering. If you choose one of the W12 engines, so will your fuel bills, guzzling through a gallon of petrol for every 19.2 miles you cover, and that’s if you treat it gently. Which you probably won’t. The V8s do better, both returning an official figure of 25.9mpg. Then again, a marginal difference in fuel economy probably isn’t going to be a deal-breaker if you’re wealthy enough to seriously consider buying a Spur. Neither will the astronomical amounts you’ll spend on insurance, tax and tyres. The sheer depth of quality on display, and the way the Spur is assembled and finished will make you think this car will last forever. However, Warranty Direct’s manufacturer standings tell a different story. Bentley currently sits at the very bottom of the standings, with a high rate of malfunction and a high cost of repair. What’s more, the Continental GT, on which the Spur is based, currently resides in the survey’s worst ten models overall. Bentley would argue the poor performance is because these examples of the car are (by nature of their inclusion in the study) likely to be serviced and repaired outside of the Bentley dealer network, meaning the parts and labour used may not be of the necessary standard to keep trouble at bay. Whatever the truth, electrical issues seem to be the most common source of trouble. The Spur’s permanent four-wheel drive provides plenty of traction, while an advanced stability control system is on hand to help out if you push the car beyond its limits of grip. There are eight airbags to provide protection in the event of a crash, and the bonnet has a pop-up mechanism designed to reduce damage to pedestrians. Luxury limousines should come with a vast amount of luxury kit, and the Spur doesn’t disappoint. The leather interior is available in a choice of 12 colours, while heated and cooled electric seats, electric rear privacy blinds, parking sensors, Bluetooth, climate control, and a high-grade stereo incorporating sat-nav and the rear-seat touch-screen remote are also provided as standard. 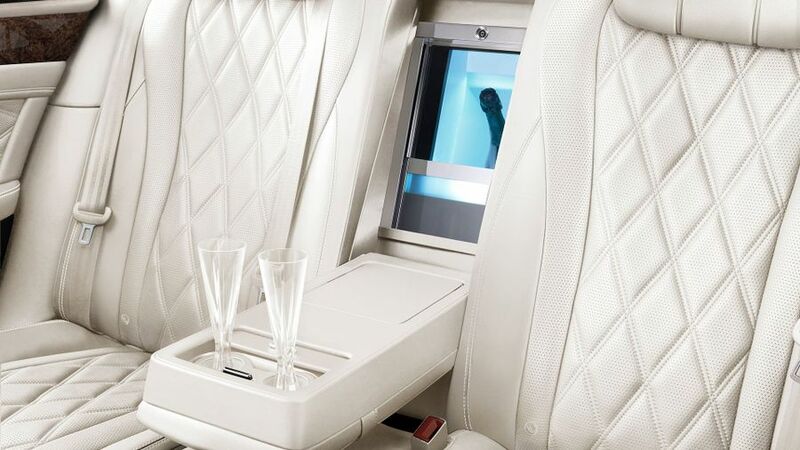 You can also add any number of other luxury options – for a handsome price – including an upgraded multimedia system that creates a Wifi hotspot inside the car, and a drinks fridge mounted behind the central rear armrest. The Spur is hugely expensive to both buy and run, but if you can even think about spending so much on your car, the cost will probably mean very little to you. For those who can afford it, the Spur is a very special car indeed. The beautiful interior makes it a lovely thing to spend time in, the performance is epic and, while the ride and refinement aren’t ideal for a luxury limousine, they’re good enough to justify your outlay.